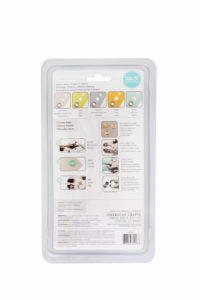 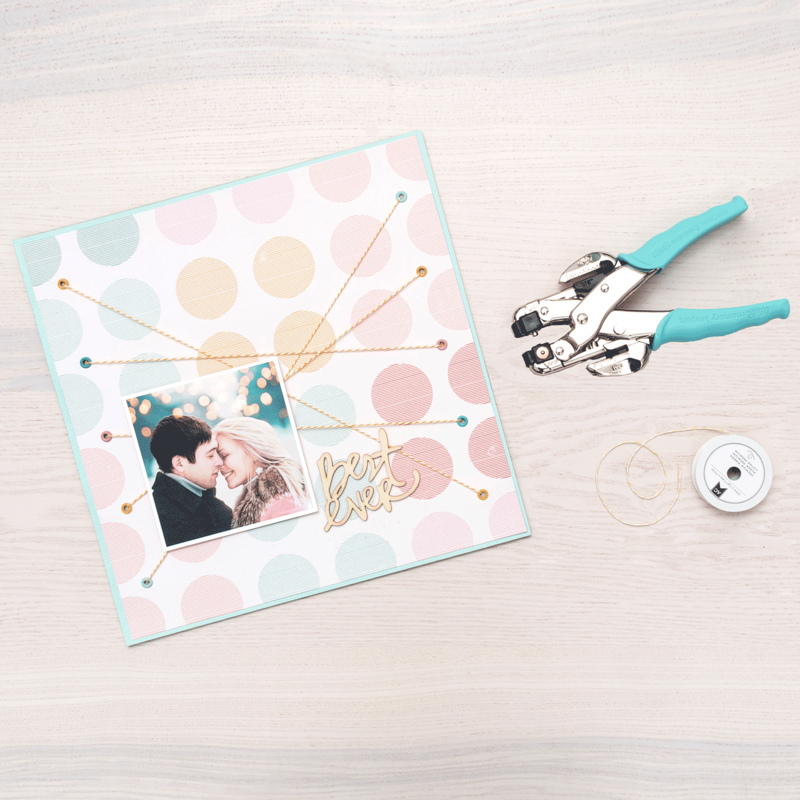 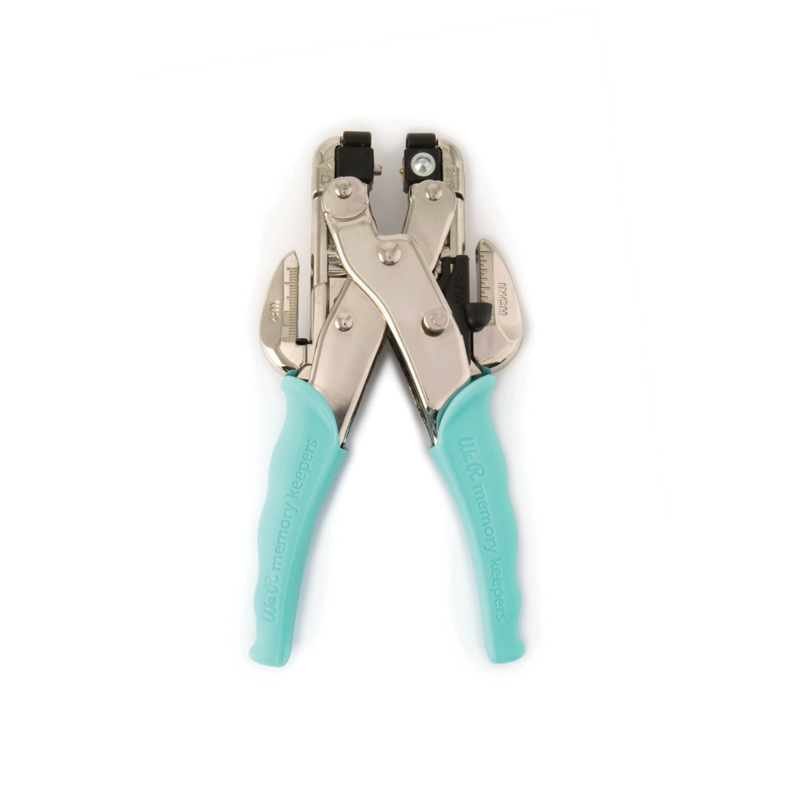 With one tool you can Punch and Set Eyelets on any craft. 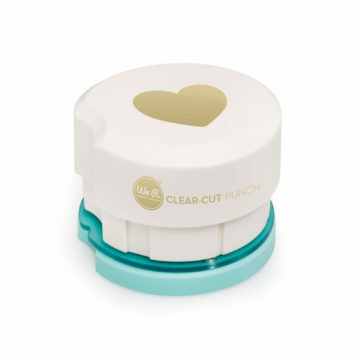 This CAD punches 1/8″ and 3/16″ holes through any material, including paper, leather, metal, chipboard, fabric, poly, plastic, acrylic, wood and much more. 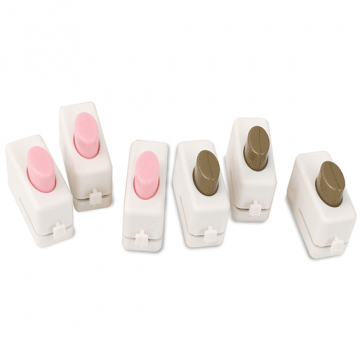 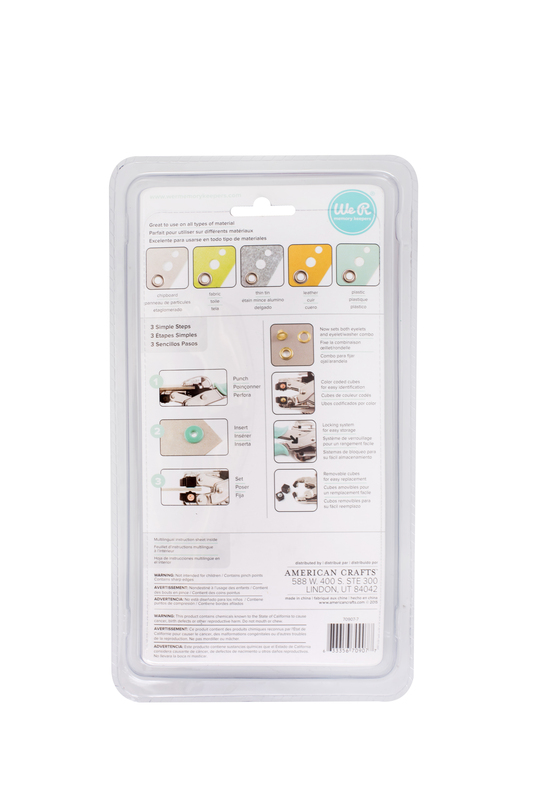 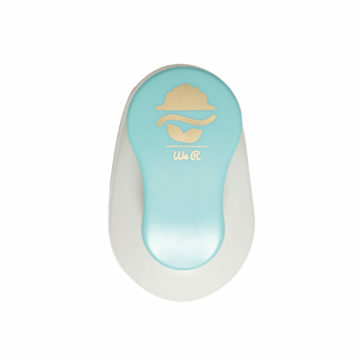 The Crop-A-Dile comes with color cubes that are removable for easy replacement. 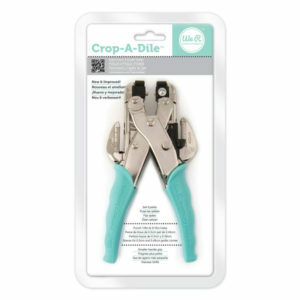 The Crop-A-Dile includes a sliding measuring guide for precise hole and eyelet spacing, marked in inches and centimeters.